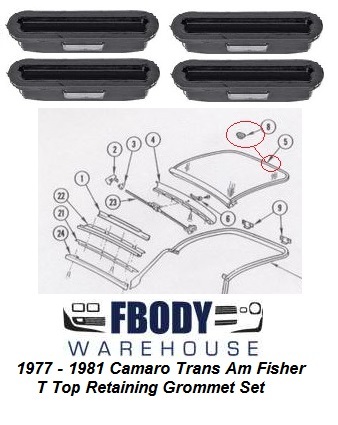 This is a set of 2 NEW blow out tabs for 1970 - 1981 Camaro and Trans Am. 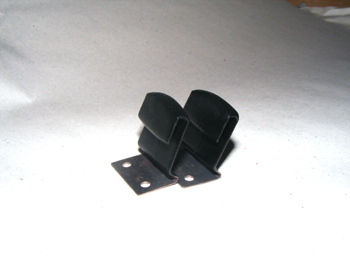 These mount on the roof rail weather seal channels by 2 pop rivets. The prevent the windows from pushing out at highway speeds. Factory GM units were rubber coats and often peeled and then rusted. We have an installation video in the Video Library for ease of install! 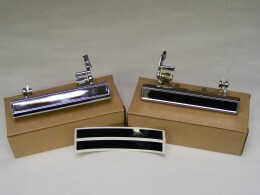 This is a set of 2 NEW blow out tabs for 1970 - 1981 Camaro and Firebird / Trans Am. These are a brand new item on the Fbody market. These pieces are mounted on the weather seal channel and usually rust out due to the fact that they were metal units with a rubber cap on them and water could get under that rubber cap. These new units are metal and fully rubber coated and do not have that rubber cap that moisture can get in to.